Prime Minister Abiy Ahmed of Ethiopia has an unprecedented drive for a strong, united, peaceful and democratic Ethiopia. However, to actualize it, Zelalem Teshome Baye, argues in this article that Abiy needs to reconcile the contradictions between his domestic and foreign policy. Since getting into power, Ethiopia’s Abiy Ahmed held two major rallies in the United States and Germany with the Ethiopian diaspora. The most recent of the two was in Frankfurt, Germany where he had attended the Berlin G20 Investment Summit of “Compact with Africa” – Chancellor Angela Merkel´s initiative. Speaking to thousands of Ethiopians in Frankfurt on the theme: ‘Stand together and build together’, Abiy declared to the eager crowd that a shared understanding and mutual trust between his new cabinet and the Ethiopian diaspora in Europe was central to Ethiopia’s rise. Two months before, he had underscored his love and commitment to strengthening Ethiopia’ unity. That unity, he declared, would only be possible if all Ethiopians, at home and in the diaspora, worked together. In both cases – Washington D.C and Frankfurt – there was a mutual respect and understanding between him and the diaspora. 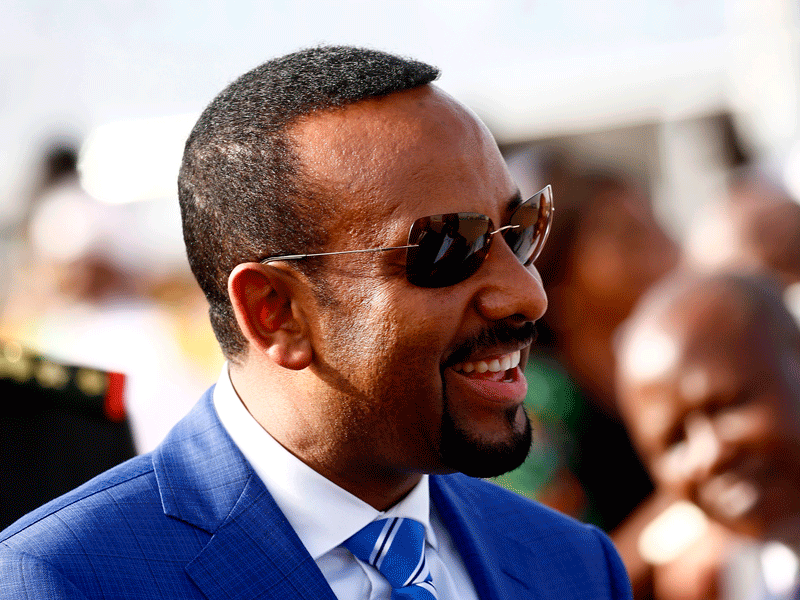 Ethiopia’s diaspora has historically supported anti-government movements, so for Abiy, their buy-in is critical to his political and economic reform agenda. On the surface, it appears to be working – his promises to improve the laws and reform critical government institutions to transition the country into a democratic system seem to be on track considering the recent appointments. In addition, Abiy´s mixed ethnic, religious, and linguistic background seem to be curing Ethiopia’s ethnic and religious tensions. could help him to calm the perplexing situations. And, unlike his fellow leading members of the ruling party (EPRDF) who have been profiting from the ethnic tensions for decades, Abiy seem to be a breath of fresh air. Representatives of the Ethiopian diaspora civil society made the above assessment of Abiy clear at the Frankfurt meeting. Their presentations were more of an evaluation of Abiy’s six months in office. As they noted, among his successes so far is the internationally praised negotiation that ended 20 years of hostility with Eritrea, removal of UN sanctions against the Eritrean government, and appointment of a cabinet with 50% gender balance. In accord with his promises, tens of thousands of political prisoners in Ethiopia were released. And in an unprecedented move, he lifted the ban on all organized political parties and their affiliated political figures operating in exile and asked them to come back home to engage actively (but peacefully) in the political process. The Diaspora representatives appreciated and recognized these achievements and applauded his personal commitments to a united and democratic Ethiopia. However, there are challenges and uncertainties that demand his considerable priorities. Abiy seem to believe that strong international and regional relations are more important and capable of resolving the Ethiopia’s domestic challenges. While it might be true that his regional engagements have brought hope for a peaceful and stable Horn of Africa, considerable focus should also be given to the existing facts, conditions, and challenges at the domestic level. For instance, there has been an increase of internally displaced people due to ethnic based violence and unrest in some parts of the country. Also the “intellectual war” among the various political elites in the media is fomenting conflicts rather than resolving the longstanding dispute over ownership of the capital city (Addis Ababa). Linked to this is the seeming reluctance of Abiy’s government to timely repeal repressive laws and policies imposed by his predecessors. More importantly, there is a lack of clearly proposed measures of change (what, how and when) to realize the promised political and economic reforms. The institutional arrangements (in a sense of clearly defined agreement on the responsibilities and interactions), administrative systems and regulations for well-functioning democratic institutions (particularly on the electoral and human rights institutions) are not yet reformed. The demand for urgency is that the next general election is only one year and a half away. Taking in mind that Abiy´s government came to power as reformists and facilitators of the democratic transition following the three years of protest and power struggle, it seems that it is time for him to materialize the promised institutional reforms ranging from the despotic regulations of the existing democratic institutions (which were established to serve merely the ruling party without the consensus of other stockholders) to the promised constitutional reforms on the divisive ethnolinguistic territorial based federal state structure. Many observers doubt his capacity to dismantle the decades-old shackles of repression and fragmentation within such short period of time. In his government, there still are hardliners with extensive political and economic capital within what is still largely a weakly structured (ethnically fragmented) political sphere. Notwithstanding, the public is expecting him to abolish and improve some of the laws and policies to materialize the political reform with a smooth transition to democratization. Currently, the Ethiopian public sphere has become an arena for various political interests stirred from diverse and multiple ethnic, ideological, economic class, cultural and religious identity affiliations. It is a great achievement for Abiy and for all Ethiopians that the public sphere has been effectively widened in such a short period of time. However, it is also risky that every group is pushing for particularistic (most of the time very personal) interests that are often contradictory and not governed by strategic interactions and institutionalized substances. Some of the exaggerated expressions of highly partisan interests may gradually lead to uncertainties and strife among the people. Particularly, the reappearance of the previous oppressive authorities’ who are allegedly corrupted. All these are casting doubt that the ongoing reform may not lead to the expected and promised democratic transformations. Also, the PM´s reform group is surrounded and filled by many hardliners who still want to maintain their previous oppressive power and exclusive institutions without any fundamental changes. For instance, many have complained that the exclusive and repressive stance and sabotages of the Ethiopian Embassy personnel at Frankfurt in hindering some of the well-organized associations and important figures of the diaspora from expressing their reactions, wishes, and questions for the PM during the meeting at Frankfurt. Overall, Abiy’s political will and efforts toward reforming Ethiopia, at least over the past six months, is encouraging. He is a person endowed with high enthusiasm, energy, charisma, integrity and acceptance to build a better future in Ethiopia and all across the East African region. His achievements in foreign relations with the regional neighbors should also be repeated with same urgency in handling the domestic affairs. From his inaugural (acceptance) speech at Ethiopian Parliament on the 2nd of April to his well-received speech at Frankfurt on the 31st of October; Abiy has revealed his hopes and ´good will´ for all Ethiopians. And his good will is entirely different from his predecessors. Zelalem Teshome Baye is a PhD student in the Department of Social Sciences of Humboldt-Universität zu Berlin. 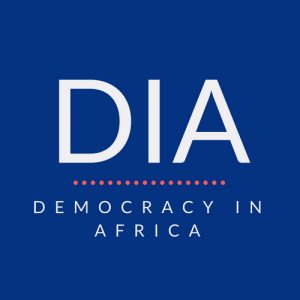 Previous articlePoll in the DRC looms: Prospect for change?